Department of Commerce ⌨: Promotes job creation, economic growth, sustainable development and improved standards of living for all Americans by working in partnership with businesses, universities, communities and our nation’s workers. Responsibilities in the areas of trade, economic development, technology, entrepreneurship and business development, environmental stewardship, and statistical research and analysis. Bureau of Economic Analysis ⌨: BEA is an agency of the Department of Commerce and, along with the Census Bureau, is part of the DOC's Economics & Statistics Administration. BEA produces economic accounts statistics that enable government and business decision-makers, researchers, and the American public to follow and understand the performance of the Nation's economy. BEA collects source data, conducts research and analysis, develops and implements estimation methodologies, and disseminates statistics to the public. Survey of Current Business: BEA’s monthly source of information about its economic accounts. Articles present the latest national, international, regional, and industry estimates; describe the methodologies used to prepare the estimates; provide information about major revisions; discuss on-going innovations; and generally keep users up to date on relevant BEA issues and initiatives. Bureau of Industry & Security ⌨: Mission is to advance U.S. national security, foreign policy, and economic objectives by ensuring an effective export control and treaty compliance system and promoting continued U.S. strategic technology leadership. BIS Data Portal: Export control data and analysis. Features statistical papers and datasets on: Controlled Trade with Select Countries; Export Control Reform (ECR); BIS Licensing; U.S. Defense Industrial Base Analysis. Census Bureau ⌨*: The Census Bureau's mission is to serve as the leading source of quality data about the nation's people and economy. It is the leading source of statistical information about the nation’s people. Population statistics come from decennial censuses, which count the entire U.S. population every ten years, along with several other surveys. ♦ Economic Census: Official five-year measure of American business and the economy. and public employment and classifications. ♦ American Community Survey (ACS): Premier source for information about America's changing population, housing and workforce. ♦ Economic Indicators: The Census Bureau releases 14 different reports on key economic indicators. 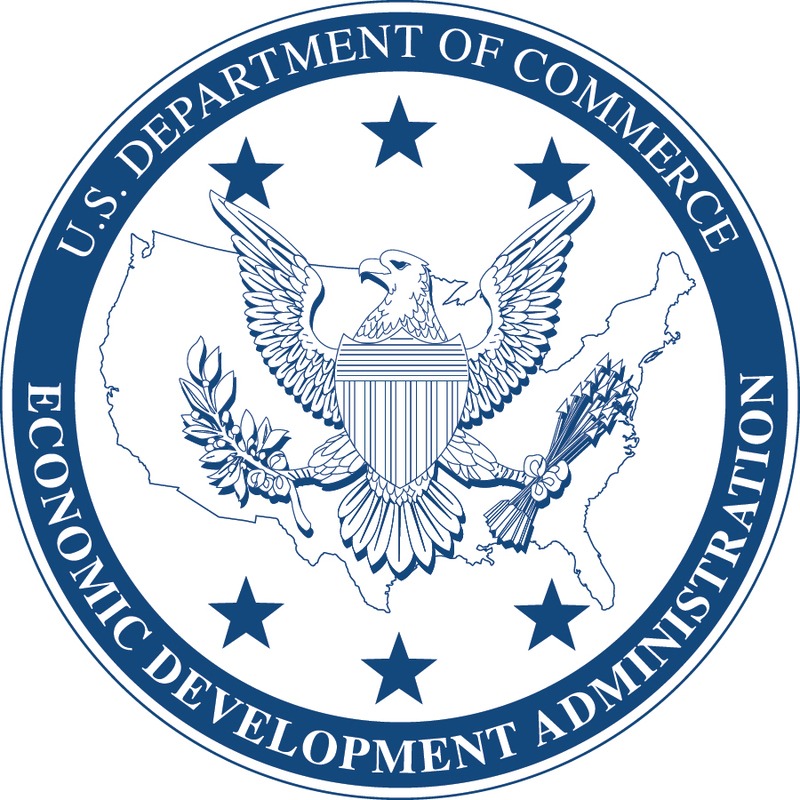 Economic Development Administration: To lead the federal economic development agenda by promoting innovation and competitiveness, preparing American regions for growth and success in the worldwide economy. As the only federal government agency focused exclusively on economic development, the EDA plays a critical role in fostering regional economic development efforts in communities across the nation. Through strategic investments that foster job creation and attract private investment, EDA supports development in economically distressed areas of the U.S.
Economics & Statistics Administration: ESA provides timely economic analysis, disseminates national economic indicators, and oversees the U.S. Census Bureau (Census) and the Bureau of Economic Analysis (BEA). International Trade Administration ⌨: ITA strengthens the competitiveness of U.S. industry, promotes trade & investment, ensures fair trade through rigorous enforcement of trade laws and agreements. ITA works to improve the global business environment and helps U.S. organizations compete at home and abroad. Minority Business Development Agency ⌨: The MBDA, a job-creating agency, leads Federal efforts to promote the growth and global competitiveness of America’s minority business community. MBDA is a leader in strengthening the economy and improving the lives of all Americans. MBDA supports job growth and economic expansion through a network of MBDA business centers, collaboration with federal, state and local government agencies, and strategic partnerships. National Institute of Standards & Technology ⌨: NIST is one of the nation's oldest physical science laboratories. Congress established the agency to remove a major challenge to U.S. industrial competitiveness at the time—a second-rate measurement infrastructure that lagged behind the capabilities of the United Kingdom, Germany, and other economic rivals. Today, NIST measurements support the smallest of technologies to the largest and most complex of human-made creations. National Oceanic & Atmospheric Administration ⌨: NOAA's Mission: Science, Service and Stewardship -- 1. To understand and predict changes in climate, weather, oceans and coasts; 2. To share that knowledge and information with others; and 3. To conserve and manage coastal and marine ecosystems and resources. evolving economic, environmental, and social pressures on our ocean and coasts. life and property and enhancement of the national economy. Program, NOAA Small Boat Program and NOAA Aviation Safety Program. science to better manage the environment, nationally, and globally. ♦ Climate.gov: Scientific data & information about climate. National Technical Information Service: NTIS helps federal agencies make better decisions about data, with data. They provide the support and structure that helps partners securely store, analyze, sort, and aggregate data in new ways. They use private-sector partners’ knowledge to create new ways of using data to solve problems. The Joint Venture program works side-by-side with universities, nonprofits and industry professionals — together, they can experiment with data science technologies before they’re available in the marketplace. National Telecommunications & Information Administration ⌨: NTIA is the Executive Branch agency that is principally responsible for advising the President on telecommunications and information policy issues. NTIA's programs and policymaking focus largely on expanding broadband Internet access and adoption in America, expanding the use of spectrum by all users, and ensuring that the Internet remains an engine for continued innovation and economic growth. Patent & Trademark Office ⌨: USPTO is the federal agency for granting U.S. patents and registering trademarks. The USPTO advises the president of the United States, the secretary of commerce, and U.S. government agencies on intellectual property (IP) policy, protection, and enforcement; and promotes the stronger and more effective IP protection around the world. The USPTO furthers effective IP protection for U.S. innovators and entrepreneurs worldwide by working with other agencies to secure strong IP provisions in free trade and other international agreements.